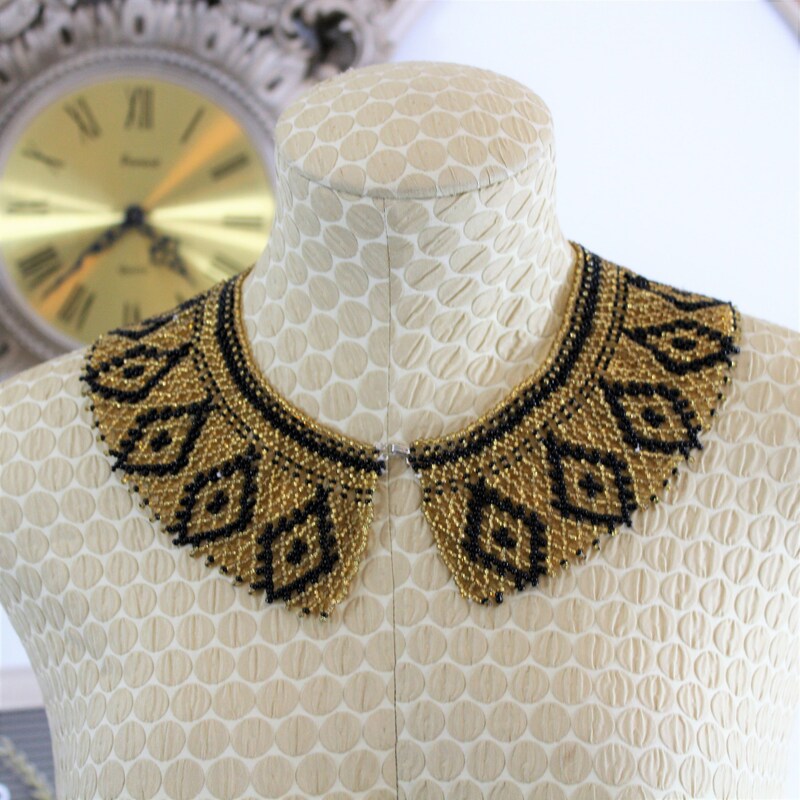 Vintage Beaded Statement Collar Applique or Necklace. 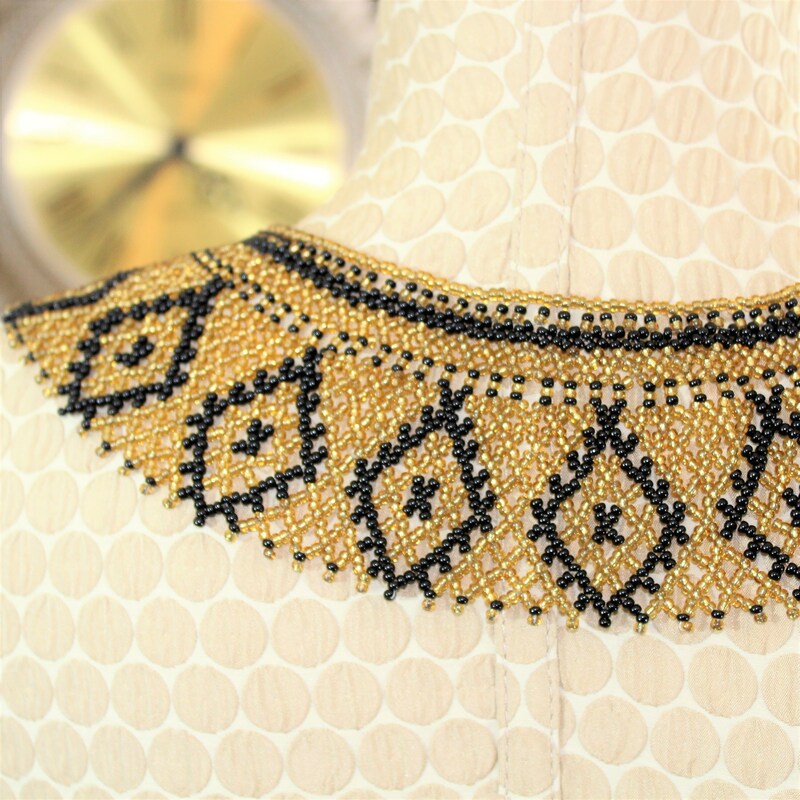 Gold and Black Beaded Wide Collar. 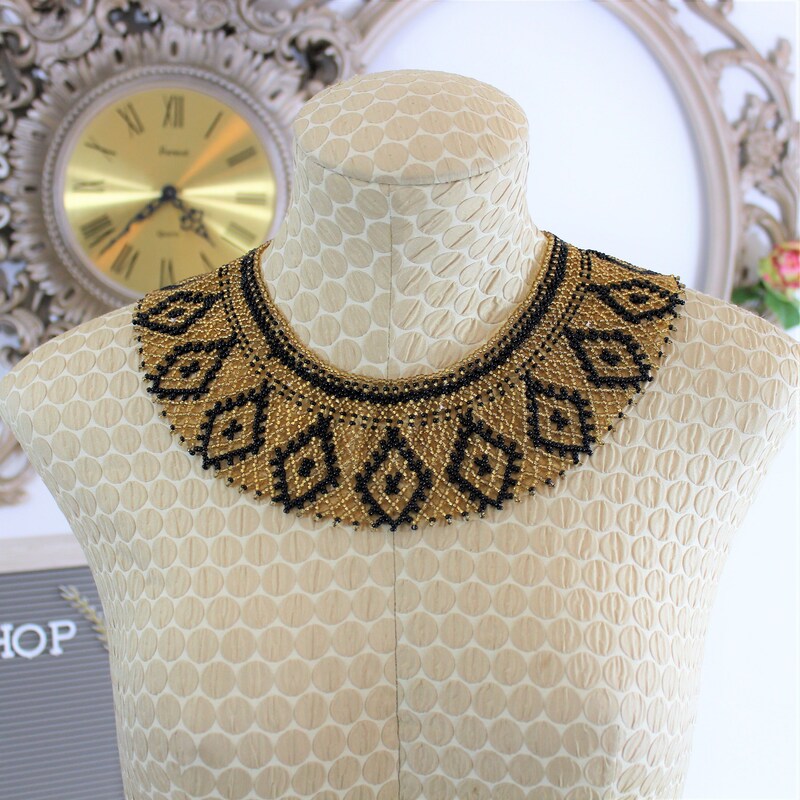 Welcome to Evelyn's Attic Shop! 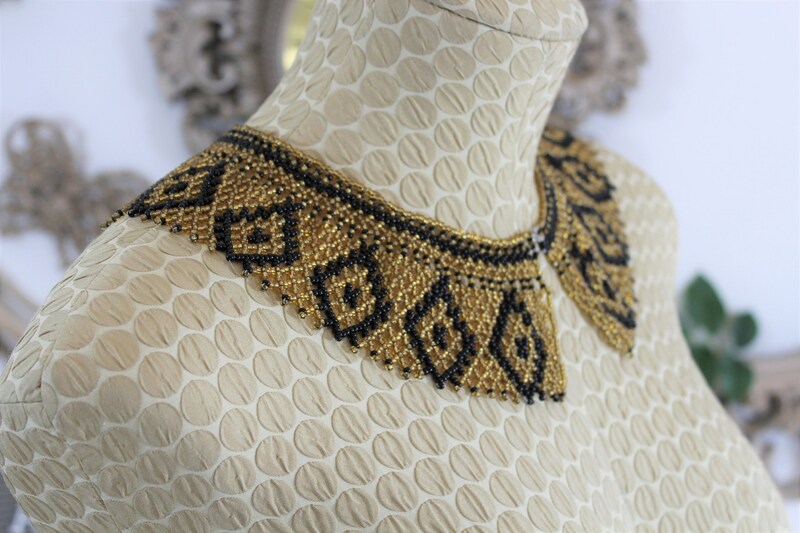 Are you looking for something unique? Let us help. Currently we have over 400 items for your shopping pleasure and continue to add more each week. 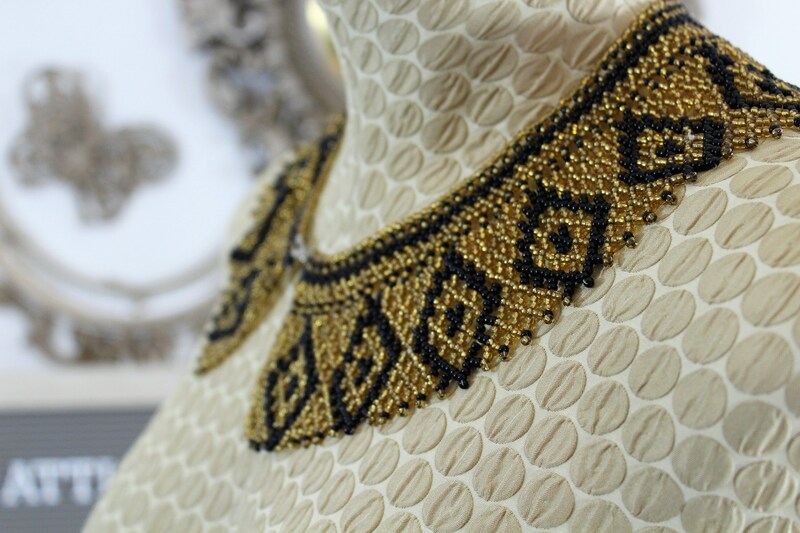 This is a lovely handmade wide beaded collar. 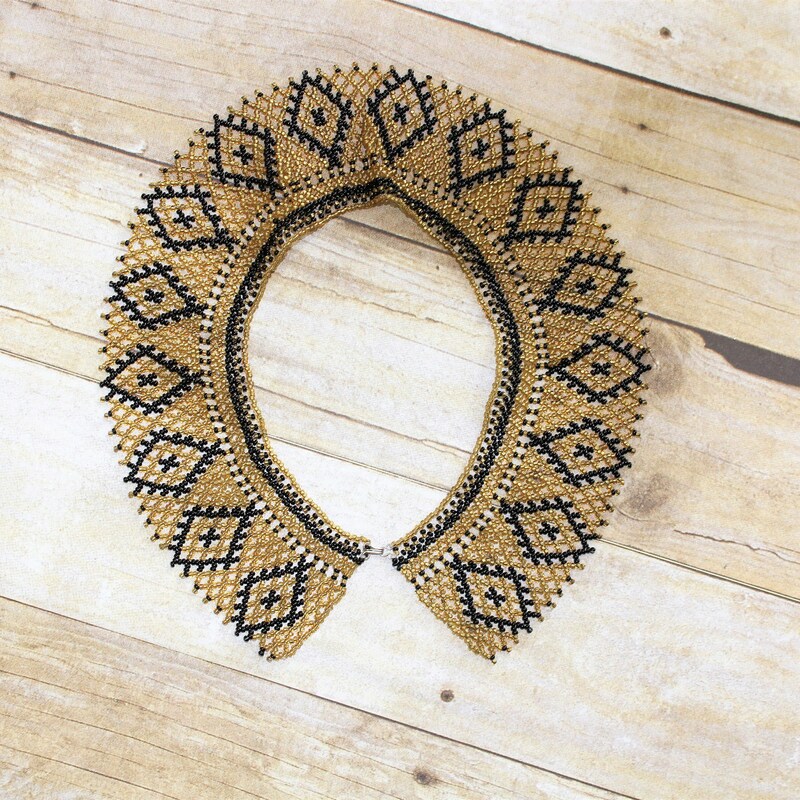 This gold and black statement piece may be worn as a collar, necklace or applique. It may be used as a removable collar. It is 2 1/2" wide and closes with a hook and eye. May be worn hooked in front or back. 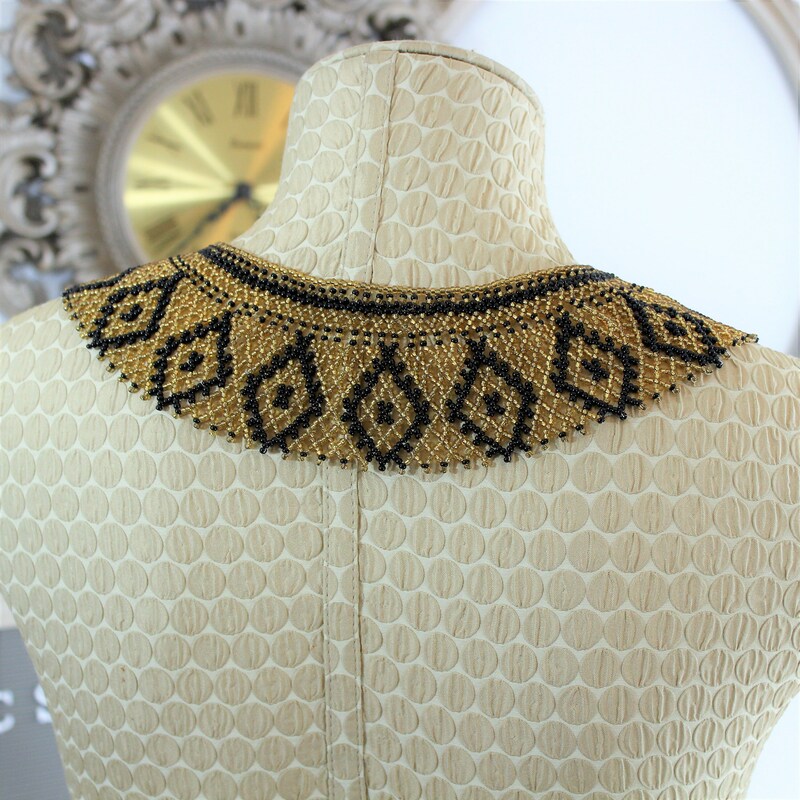 Primary color is gold with black accents. 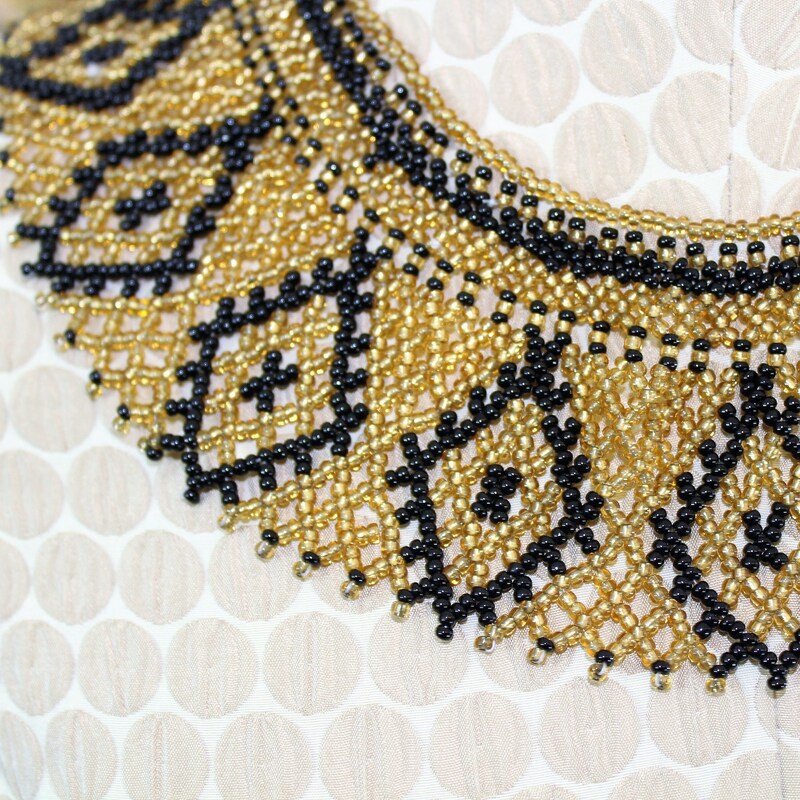 Pattern features diamonds. CONDITION: VERY GOOD. No missing beads. Hook and eye in good condition. I strive to bring you the very best in vintage and welcome any questions that you may have. This policy does not apply to the practices of third parties that I do not own or control, this includes Etsy, shipping companies or any other third party service you access through Etsy. We will not solicit or contact you except in response to a convo, email or shipping issue. Do we refund excess shipping charges? Yes we will when multiple items are purchased and packaged together! Yes we will, but please note that the buyer is responsible for shipping costs and the item must be received by us in the same condition as it was originally purchased. Upon receipt in same condition we will refund purchase price only. It is extremely rare that customers have an issue with one of our items but rest assured if you do - we are responsive. If you have an issue please contact us immediately via conversations or email and we will make every attempt to resolve the problem as quickly as possible. Do we offer local pick up? Absolutely! If you live in our area we will make arrangements for customers who have prepaid for items to pick them up and rebate any shipping charges! We will only accept a cancellation within an hour of placing order.